(aka Rajeshwari, RajiMa, Raji) Gretchen began to meditate at a very early age, connecting with the Divine. It was where she was happiest. As a teenager, she began to explore movement of the body, the strength of the physical and creative expression through dance. Another form of connection. Gretchen pursued the arts and graduated from SUNY College at Purchase with a BFA in Dance Performance and went on to dance professionally with The Southwest Chamber Ballet, The Contemporary Ballet Company, Dance Theatre of Long Island, Human Movement Dancers and various other independent choreographers, as well as, choreographing and showing her own work in the New York area. Wanting to continue a physical practice but searching for a healthier lifestyle, Gretchen was certified as a Kripalu Yoga Teacher in 1993. Her path unfolded and lead to other certifications as a Vinyasa Flow Yoga Teacher, Phoenix Rising Yoga Therapist and Traditional/Usui Reiki Master. In 2003, she began her journey as a yoga studio owner and opened The Yoga Space, in Keene, NH. It was during a Sanskrit Mantra Workshop at Kripalu Center for Yoga and Health in Stockbridge, Mass. in 2006 that Gretchen was graced and blessed to meet her Guru, Namadeva Acharya (Thomas-Ashley Farrand). This was a time of major importance and initiation in her life. He quickly became her spiritual teacher, mentor and close friend. From this relationship, Gretchen was given many spiritual initiations in the form of energy transmissions, teachings on mantra and its application to life situations and teachings of vedic ceremony, assisting Namadeva in pujas/yajnas at Kripalu and various other centers in the U.S. She became a certified Sanskrit Mantra Teacher, and was initiated into The Jyoti Order, certified as a Pujari and ordained as a Vedic Priest before Namadeva Acharya’s passing in 2010, all honoring his lineage and Sanatana Dharma Satsang. She has also received many spiritual initiations from Namadeva Acharya’s Guru, Sadguru Rama Mata, widow of Sadguru Sant Keshavadas. To these experiences, she is forever grateful, as they create the basis for her dedication to the yogic path. In addition to Gretchen’s teachings at The Yoga Space, she shares her wisdom with workshops and retreats annually at Bethel Farm Yoga & Living Arts Center, Kripalu Center for Yoga and Health. as well as other yoga studios/festivals/retreat centers. 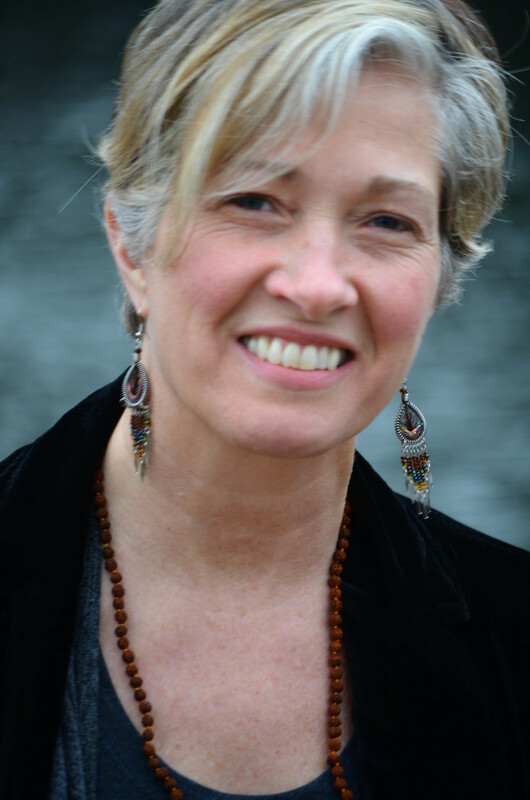 She is the founder/director/senior facilitator of the 200-Hour, Yoga Alliance Certified, Mantra Teacher Training & Study Immersion offered in Keene, NH and Blue Spirit Costa Rica. Currently, Gretchen is the owner/director of The Yoga Space in Keene, is on the faculty of Moco Arts where she teaches ballet and continues her most precious journey as a mom with her two boys, Maxwell and Noah. Gretchen holds a vision of compassion, healing and peace for our planet. She brings to her teaching a high level of commitment, love for her students and infuses her classes, workshops and retreats with the joy of mantra. She thanks all who help allow this vision become a reality.